Feeling good at the start of the race! 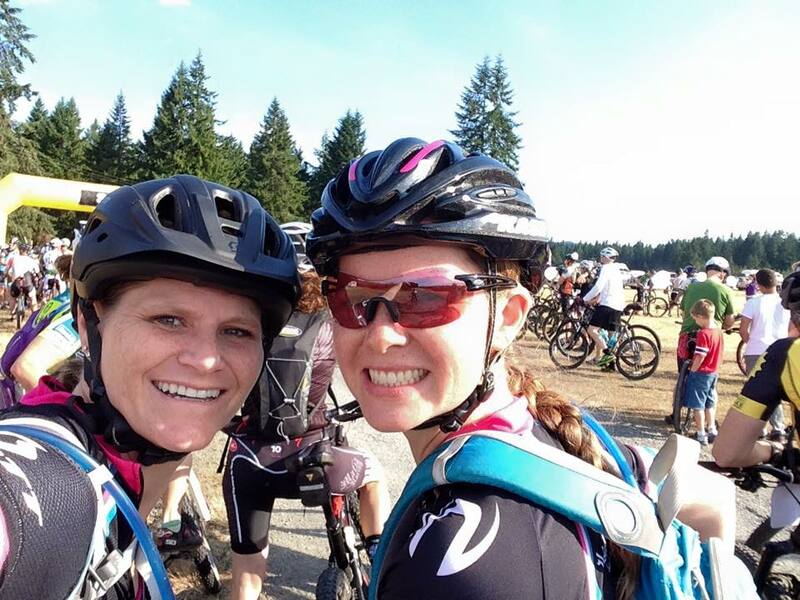 On June 27th, Alicia and Cathy headed to Olympia to compete in the Capitol Forest 50 mile mountain bike race. They survived the heat and elevation gain and look forward to riding the trails again. Thanks for the great race! Leg cramps won’t stop this lady! Still smiles! 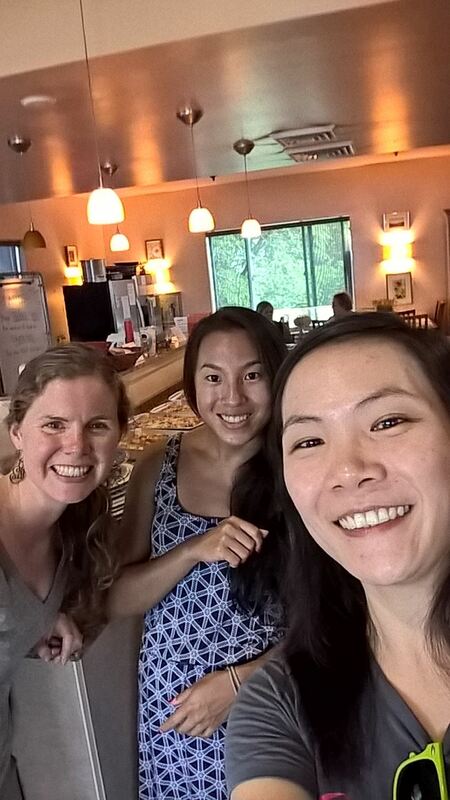 On Thursday, some of the Spokeswomen ladies (Cathy, Emily, and Tracy) teamed up to prepare and serve dinner at Jubilee Women’s Center on Thursday night. We love giving back to this amazing organization and sharing a meal with a wonderful group of women. Click here to learn more about Jubilee Women’s Center and how you can get involved! 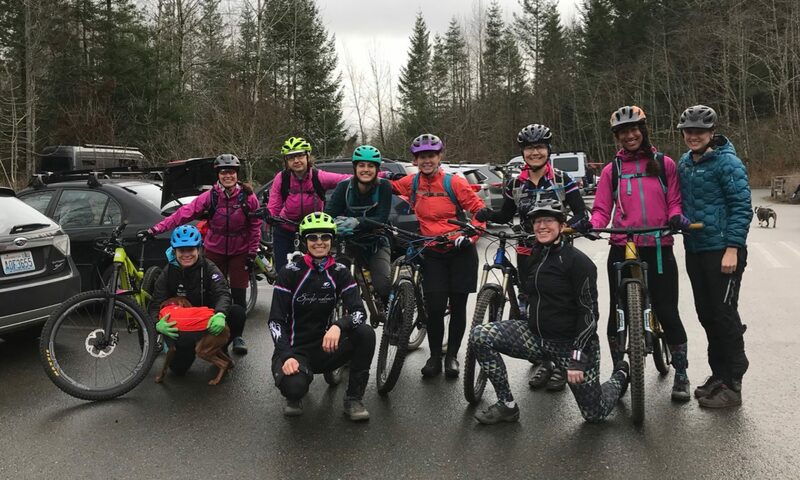 Later, the ladies joined a few of their teammates at Seward Park. Summer time in Seattle is the best! We took advantage of the awesome weather and had a team BBQ and potluck. Great times with a great group of ladies (and their significant others)!